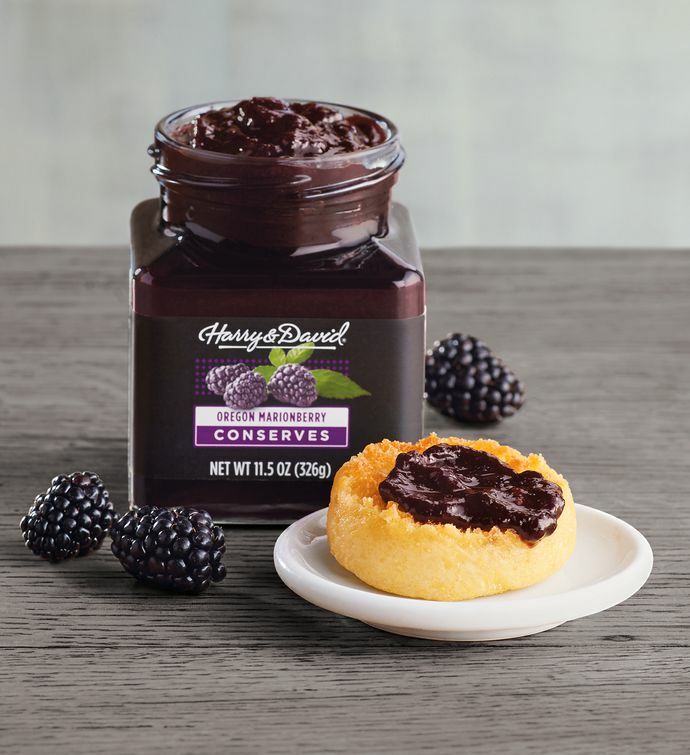 Grown in Oregon, the marionberries used in this 60% fruit spread are rich, dark, and sweet as syrup. Real cane sugar is added to bring out incredible fruit flavors. Great on everything from waffles and pancakes to yogurt and ice cream, and so much more.